Escape into the heart of the Outaouais! 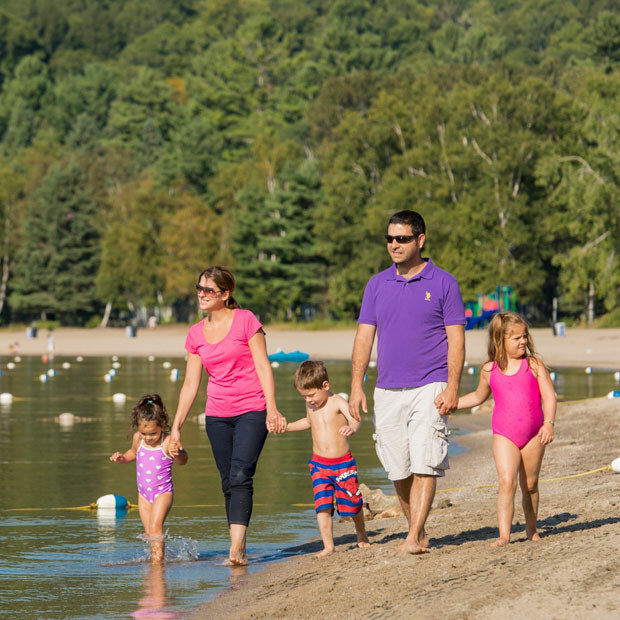 Set between water and forest, Centre touristique du Lac-Simon is a four-season vacation resort. In the summer you’ll find a 2-km beach, clear waters and fine warm sand ... a real taste of the south! Enjoy your favourite water sports on the huge lake. Just next to it, the 4-km2 forest is perfect for walking, cycling and playing—everything you need for active days followed by restful nights in your tent or cabin. The Centre has more than 370 campsites, as well as accommodation in ready-to-camp tents, cottages, and Compact cabins.